It’s true what they say: real estate financing options are the cornerstone of the housing market. Nothing, as far as I am concerned, is capable of driving more deals and bringing people together in a more efficient manner than capital, but I digress. Financing, while important, has become ubiquitous with a few caveats of its own. For as important as financing is to a real estate deal, few things are more divisive and polarizing. Case in point: everyone knows how important capital is, but not everyone understands it or even knows how to get it. It’s worth noting, however, that comprehension and acquisition are one in the same, at least as they pertain to the real estate financing options made available to today’s investors. The more you know about your real estate financing options, the better you will be at not only receiving it, but also maximizing your company’s potential. You can’t complete a deal without financing, and you can’t acquire financing if you don’t understand it; it’s as simple as that. Not surprisingly, the secret to unlocking the power of finances is none other than due diligence. That’s right, financing, not unlike everything else in the real estate investing community, has become synonymous with education. Strive to understand each and every option made available to you, and only then will you truly be able to unlock the true power behind financing. The concept of financing in the real estate industry isn’t as cut and dry as many would appreciate; however, that doesn’t mean you need a degree in economics either. If for nothing else, learning the ins-and-outs of proper financing is as simple as reading a few books or even taking a few classes, or perhaps even reading this article. I maintain that the best real estate financing strategy investors can implement is one in which every resource is exhausted. Take the time to understand the options made available to you, and I can assure you that the picture will become a lot clearer. Let’s take a look at the real estate financing options most investors will have at their disposal. I want to make it abundantly clear: there isn’t a universal real estate financing option for every type of property. If for nothing else, the properties themselves are just as varied as the financing options made available to those that want to buy them. You could very easily finance a property with any means, but that doesn’t make it the right option. In fact, certain real estate financing options are better for certain types of properties. Whereas a traditional 30-year fixed-rate bank loan is a great way to finance a home you intend to live in, it’s not the best option for those looking to flip a property in a matter of a few months. That said, let’s take a look at the real estate financing options you are most likely to encounter, and when you might want to use them. As its name suggests, private money is typically acquired from a private party that isn’t affiliated with a traditional institution. Private money lenders are those without professional financing ties that have a little expendable income that they don’t mind investing. And if the definition sounds a little ambiguous, it’s because it is. Private money lenders are essentially anyone that wants to lend money on the assumption of receiving interest in return for their investment. Your co-worker, neighbor, or even a family member could classify as a private money lender, so long as they have the funds to do so. And for what it’s worth, private money lenders are the investor’s best friend. Despite coming with an interest rate somewhere in the neighborhood of six to 12 percent, private money loans are well worth the added cost. If for nothing else, private money loans offer two inherent benefits: cash and speed. With a private money loan, investors can offer cash, essentially eliminating any middleman or doubt that the loan will be processed. Homeowners, on the other hand, will find solace in dealing with cash at the time of a sale, as it is the surest and quickest way to proceed. 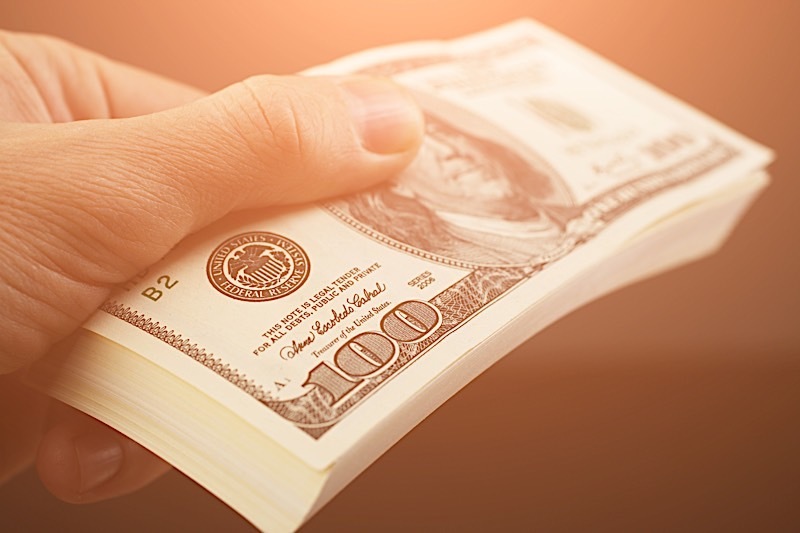 In fact, it’s entirely possible for homeowners to favor cash so much that they may even be willing to accept a smaller offer; the power of cash is that strong. On top of offering cash, private money loans allow investors to receive funding in a much shorter period of time. While it’s not uncommon for traditional bank loans to take upwards of a month to process, private money loans can be had within as little as seven to 10 days. The speed of implementation in which private money awards investors can’t be overlooked, as it may be the one thing that puts them ahead of the competition. Investors that have access to funding sooner can proposes an offer sooner, essentially beating the competition to the game. Hard money loans, not unlike their private money counterparts, are essentially loans from a private party, but with more structured underwriting. Hard money loans are typically issued by private investors or companies. Hard money loans are a specific type of asset-based loan in which a borrower receives funds secured by real property. In other words, the borrower will give the lender a promissory note and the deed to the property they acquire in exchange for the loan as collateral. Similar to private money loans, hard money loans are meant for shorter periods of time, as interest rates are high. As their name suggests, fixed-rate mortgages coincide with a set interest rate for the duration of the loan term. While the term of a fixed-rate mortgage can vary between lenders, the most popular lengths are none other than the famed 15-year and 30-year options you hear so much about, and for good reason. Due to their prolonged nature and predictable monthly payments, fixed-rate mortgages are a popular choice amongst those intent on purchasing a single-family property to call home for a prolonged period of time. Most fixed-rate mortgages are reserved for your standard single-family homes, as time is not typically of the essence. Not surprisingly, FHA loans are insured by the Federal Housing Administration. Due largely, in part, to the insurance backed nature of FHA loans, which will also have the borrower pay mortgage insurance, traditional lending institutions can exercise more freedom in who they lend to. Such a safety net enables lenders to offer more attractive rates under less stringent guidelines, all without the fear of default clouding decisions. It’s worth noting, however, that FHA loans target a niche consumer, as opposed to their fixed-rate counterparts that aren’t as forgiving of less than pristine track records. FHA loans are specifically designed to meet the needs of a certain demographic: those without immaculate credit reports or an excess of available funds. If for nothing else, FHA loans have become synonymous with less rigorous lending requirements and lower down payments. As such, FHA loans have become the preferred borrowing vehicle for lower priced homes; not because the borrower can’t afford more, but because certain FHA loans allow you to borrow cash for repairs (which are typically more apparent in older, less expensive properties). A so-called “streamlined” 203(k) permits FHA borrowers to finance as much as $35,000 for repairs of a non-structural nature. That said, FHA loans are a great option for borrowers looking to make improvements to a property. Backed by the U.S. Department of Agriculture, USDA loans project better for eligible suburban and rural homebuyers, which means you can rule out buying a high-rise penthouse suite in Manhattan. The underwriting of USDA loans states the home must be located in a rural area, but many have found the USDA’s definition of rural to be liberal at best. It’s not uncommon for many small towns to meet the ambiguous rural requirements set forth in USDA loans, nor is it rare for some suburbs of major U.S. cities to do the same. Having said that, USDA loans are typically used to enable borrowers with low to moderate income make homeownership a reality in some of the less expensive regions. Real estate financing options are readily available, but that doesn’t mean you should take the first one that comes your way. In fact, those that learn which loans are the best for their particular situation will find it a lot easier to maximize their return. Mind due diligence and familiarize yourself with the real estate financing options out there; your business will thank you for it.